RANDY DEFORD: How many years have you been in Nashville, and what brought you there? GARY CARTER: I moved to Nashville from Laurel, Maryland in 1971 with my family. We had a family band that traveled across the country, working military installations. NCO clubs and Officers clubs and some Holiday Inn lounge rooms. We moved here to be more centrally located and to be involved in the Nashville music scene. The family band was together for 18 years. 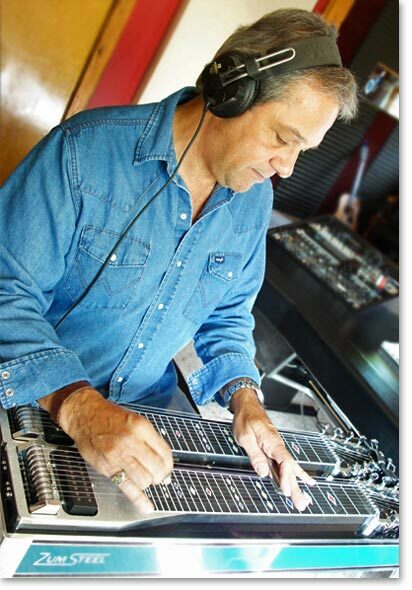 RAD: What drew you to the pedal steel? Was there a single song that left that first impression or was it just exposure over time? GC: It was both. My father bought me my first lap steel at the age of five. 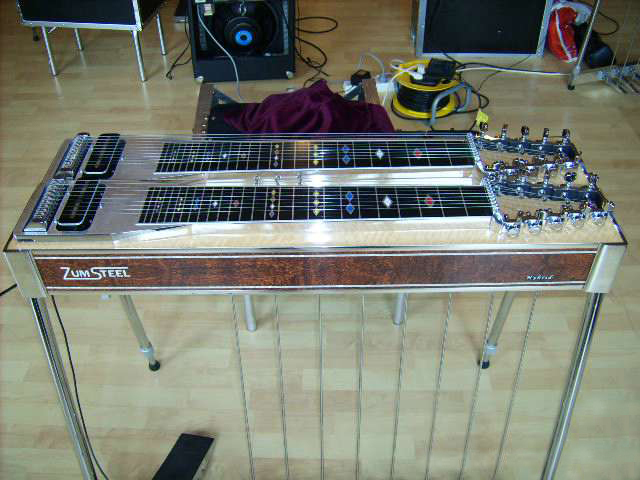 Later, I moved up to a triple neck stand up steel; then finally to a pedal steel guitar when I was nine years old. I grew up practicing three hours a day for 12 years and just thought it was normal. It wasn't until I was about 13 before I really developed a love for the instrument when I heard Ralph Moony playing with Buck Owens. The twang and soulful pedaling of the instrument was a sound I had to learn. RAD: What are your favorite tools of the trade these days? GC: When I'm playing behind an artist on a live gig, I use reverb and maybe a little delay. Telonics is putting out some great equipment right now for Steel Guitar. I use the FP-100 Multi- Taper volume pedal and I just started using their 500 Watt TCA-500 Combo Amp. I play a D-10 ZumSteel guitar and just ordered a ZumSteel Encore single 10 with four and five. If I'm doing a club /bar gig, then I'll experiment with effects. That's the best time to try out new ideas. In the studio, I use what's best for the song per the producers and my input. RAD: Any special changes in your copedant or favored pulls? GC: I can never have enough pedals. There is always a change I want to add to my guitar, but, unfortunately, in my opinion the more stuff you add, the less accurate the guitar responds. 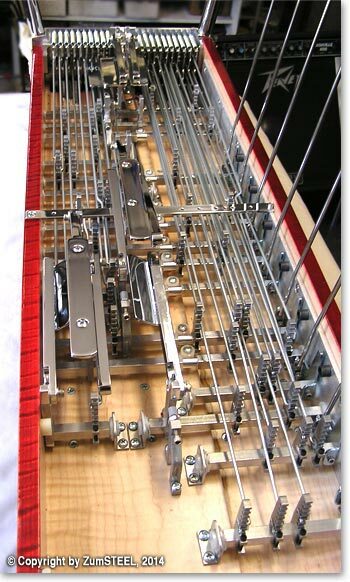 You can only fit so many rods, bell cranks, stops, compensators and springs under the guitar. 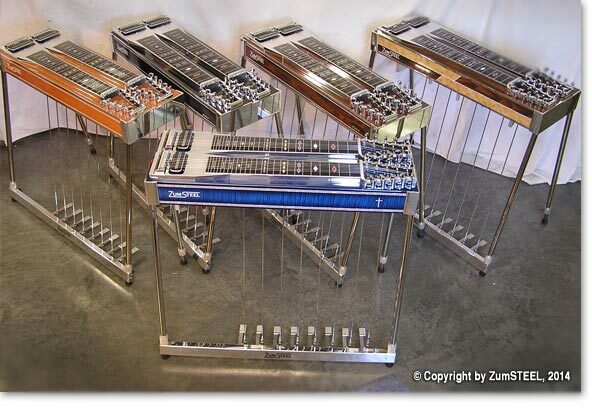 On my Zum D-10 I have eight floor pedals and seven knee pedals. You can play most everything you hear on records with three and four. When you start adding 7 and 8 Knee pedals on the E9th neck you can get all kinds of beautiful complex bends that you don't hear on records very often. RAD: What artists have you worked with over the years? GC: When I moved to Nashville and after the family band broke up, I worked with, The Four Guys, Lorrie Morgan, Randy Travis, Kenny Chesney, Faith Hill, Pam Tillis. Working for Faith seven years and with Randy for seven years were the most enjoyable road gigs I have done. RAD: Road work tends to be repetitive where session work is creative. Do you have a preference? GC: I love recording in the studio with other musicians, and I enjoy playing live. You get an instant reaction from a live audience, your band mates and the artist. Also the grove is more intense when everyone is playing live. For me, my studio work is mostly an overdub day playing to the track.You have time to perfect your parts and get it like you want. You can try different ideas, work out parts with another instrument. If time permits you can take 20 passes on a song. Playing live you get one pass. It's just a completely different approach than playing live. When I was music director for Faith, during a tour that promoted her current album, the music would change and evolve, constantly keeping it interesting and always a challenge. We'd fine-tuned the music weekly; then for the following year's tour, Faith would want to change the arrangements on some songs and we would start all over. I love both, playing in the studio and playing live shows. They both have their pros and cons. RAD: Buddy Emmons is credited with doing more than any single player for being both a disciple to the instrument and an innovator on steel design. 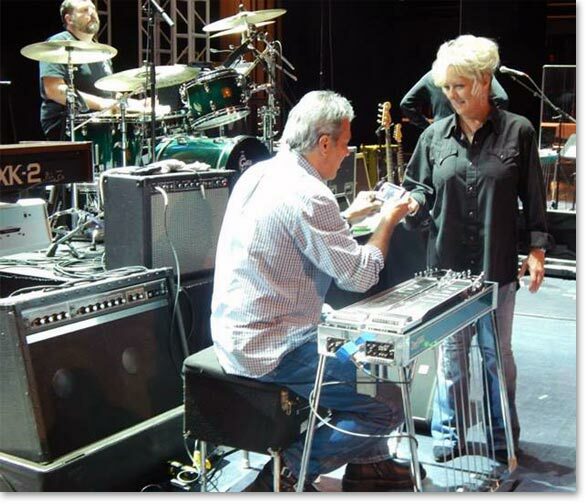 Who today is someone who is a current trendsetter for the pedal steel identity and keeping it viable? GC: Buddy Emmons, my hero. 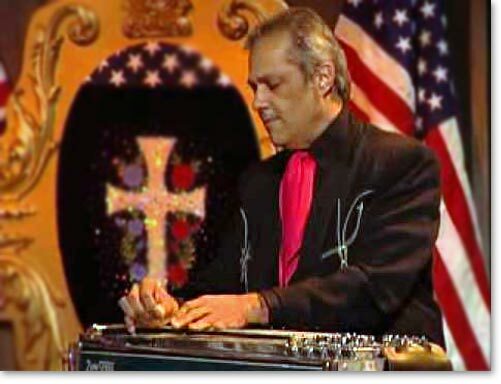 No steel player can set behind a steel guitar for more than ten minutes and not play a Buddy Emmons lick. He is the King. The three players that we all pay close attention to these days are Paul Franklin, Tommy White and Mike Johnson. Paul is probably more responsible for creating original steel guitar styles and small nuances that add to a record than anybody in Nashville. RAD: Any particular story from the road you’d like to share? GC: When I was with Faith, we were all in place on stage and ready to start a live show. The stage had a drop-curtain so no one could see the stage. The opening music started, the curtain raised up to show ten musicians, Faith, and a huge light show. As the curtain was coming up a ring at the bottom of the stage curtain caught the corner of my steel guitar and carried it up about seven feet into the air before my tech and myself could break it free, set it on the ground and then I played the intro to "The Secret Of Life." I'll never forget the look on Faith's face. 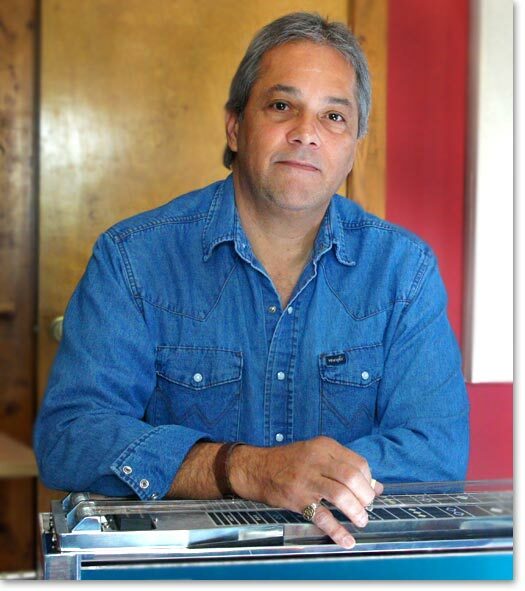 GC: Pedal steel is more of a boutique industry compared to a production instrument. It’s not an easy instrument to master. Any tips or techniques you’d pass to a new player who wants to take it as far as they can? GC: If you are just starting out, listen to the old country records, steel guitar albums and learn some history so you have something to pull from when your band wants you to play the solo on TOGETHER AGAIN, HEARTACHES BY THE NUMBER or any other traditional country song. After learning the styles of Lloyd Green, Weldon Myrick, Ralph Mooney, Jimmy Day, Buddy Emmons and several others, then start listening to Mike Johnson, Tommy White, and Paul Franklin on today's records. 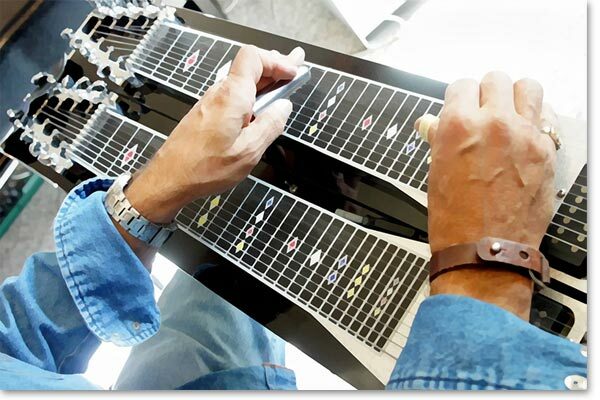 If you want to compete and stay in the loop, you have to find a place for steel guitar in today's music. You have to know all the old intros and solos and at the same time, keep your playing fresh and new. Music is gonna change, and if you want to be a working player in Nashville, you have to adapt to it. 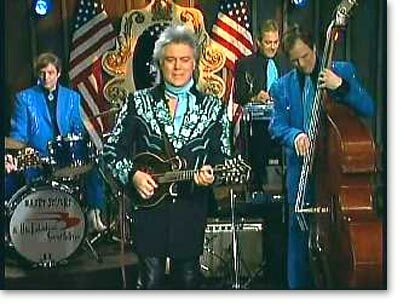 RAD: Marty Stuart’s band, the Fabulous Superlatives, seem to be a consummate blend of all the best in county and honkytonk. Do you feel he is somewhat of a neo-traditionalist, keeping the older country songs alive and sharing with a new generation? GC: I have been working with Marty Stuart now for 6 years doing his TV show and I have played on a couple of his albums. Yes, he loves sharing traditional country music and its history. Marty and his band are probably the most creative people I have every worked with. Nobody plays that rockabilly, honky tonk country music like Marty and the Superlatives. To me Marty is a true artist. 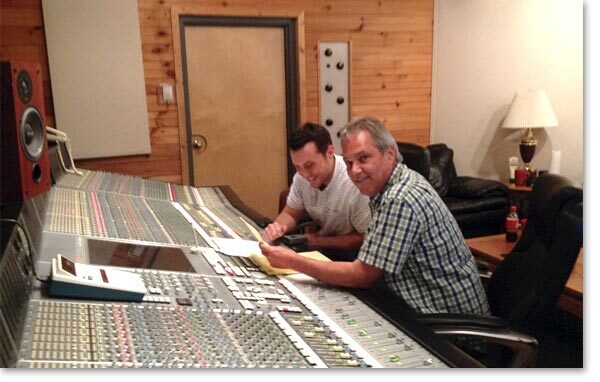 He's a producer, he's a lyricist, singer, writes music for movies, the guy can do it all. It's been a pleasure working with him and learning from him the last few years. RAD: What are your feelings about the direction of the steel guitar in today's New Country Music? GC: If you want to remain a working musician in this town, you have to change with the times or get left behind. Every day, people talk to me about the production sounding the same on every song; they say it's not country anymore; I understand what they are saying. We're probably not gonna hear country music on the radio as we once knew it, unless someone like Vince Gill and Paul Franklin put out another great record like the BAKERSFIELD ALBUM or Marty Stuart's GHOST TRAIN ALBUM or Connie Smith's latest album. Think about the sound of Country in the 50's with artists like Ray Price and Patsy Cline. Buck Owens introduced the Bakersfield sound in the 60's. It changed with Ronny Millsap's pop country in the 70's Randy Travis took it back to the basics in the 80's and Garth took us all in a new direction in the 90's. and now, we have rap metal country LOL. Stick around, and it's gonna change again. 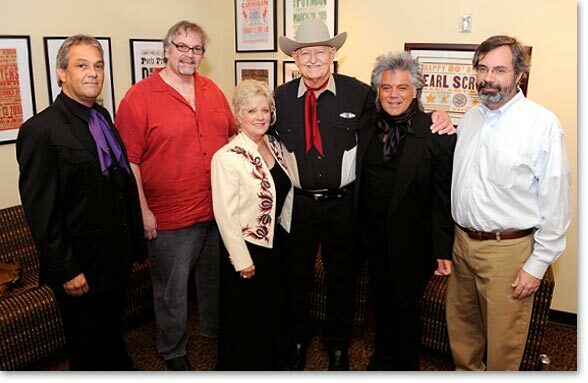 I'm very blessed to be backing Connie Smith on the Opry, in the studio and on a few road dates each week, I get to play some of the best steel guitar music ever recorded by Emmons, Weldon, Hal Rugg and several others from the 60's and 70's. I cut my teeth on this music. So I'm saying, if you are starting out on the steel guitar, learn all the old licks, those beautiful intros, solos and incorporate that along with some new ideas into your modern playing. RAD: What new music are you listening to? GC: I love the clean production of Josh Turner's records, Keith Urban is a brilliant artist, Joe Nichols records sound great. Snarky Puppy and Dirty Loops for the modern, instrumental, funk hi-tech sounds. and Museum. The theme for the evening was "Connie and the Steel Guitar." Connie Smith's remaining residency programs will be Aug. 29 and Sept. 12. Cultmachine's Randy DeFord played the Pedal Steel guitar for years and performed at the International Steel Guitar Convention in St. Louis. He calls the Pedal Steel Guitar an "immersive experience where the the player uses both hands, both feet, and both knees!"